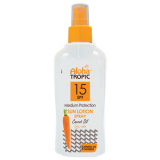 Sunscreen body lotion for medium protection from UVA – UVB ultraviolet radiation. 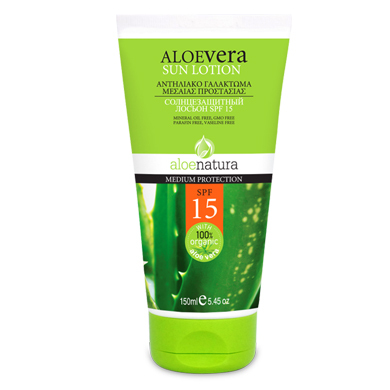 Enriched with sunflower oil, active extract of organic Aloe. Vitamin E that activate skin’s defense against the sun and protects it from photo ageing. External use. 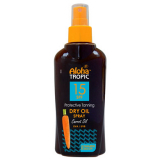 Medium protection SPF 15, 100 % Organic Aloe Vera.